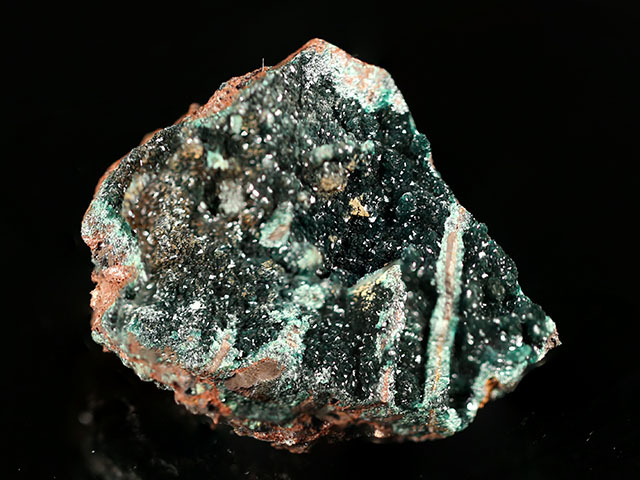 Chalcosiderite is a copper iron phosphate mineral, the name itself a combination of the Greek roots chalco for copper and sider for iron (Ullman, 1814). 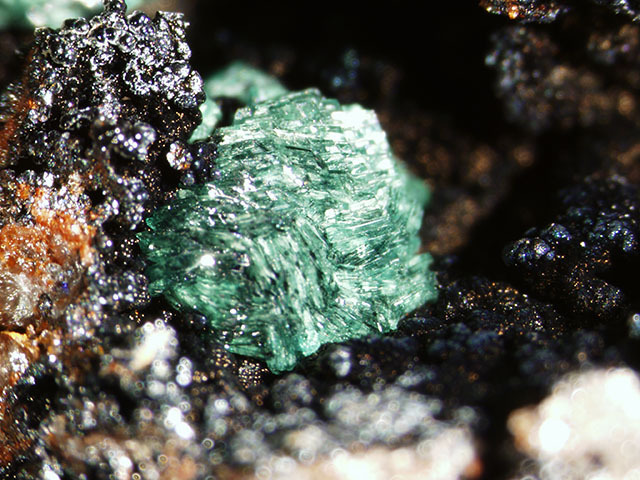 Chalcosiderite and turquoise have the same crystal structure. As the discovery of chalcosiderite predated X-ray diffraction and early turquoise specimens were massive, the isomorphous relationship waited until the discovery of turquoise crystals in Virginia (Schaller, 1912). 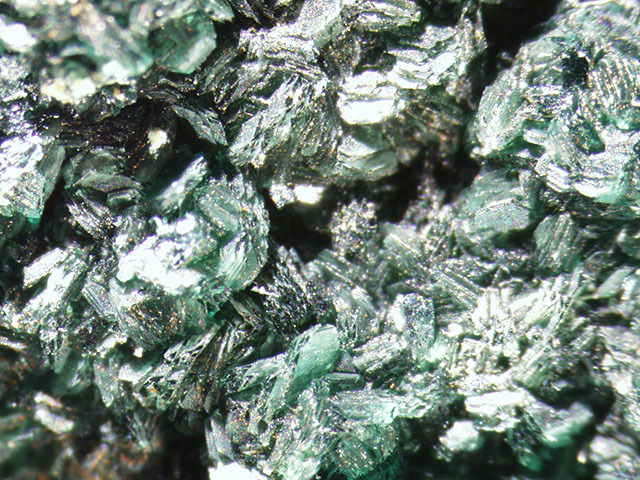 A druse of forest green chalcosiderite covers one side of this specimen. 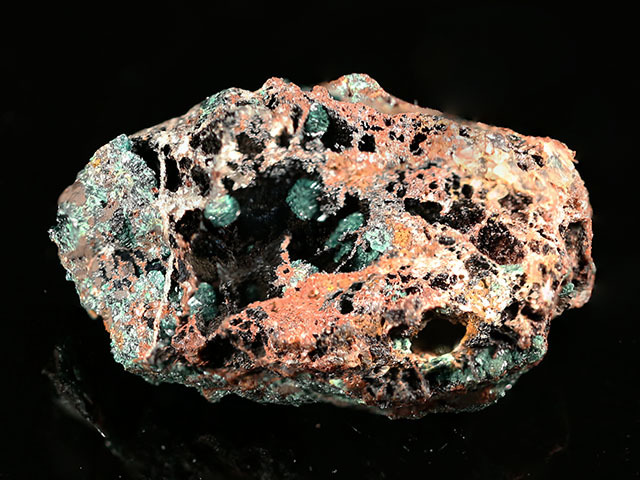 A cavity on the other side of the piece hosts an isolated 2 mm sphere of chalcosiderite. The matrix is iron stained quartz. Colorful and sparkly.